Robin A. Murphy is Associate Professor in the Department of Experimental Psychology at the University of Oxford, UK and a Fellow of Corpus Christi College. 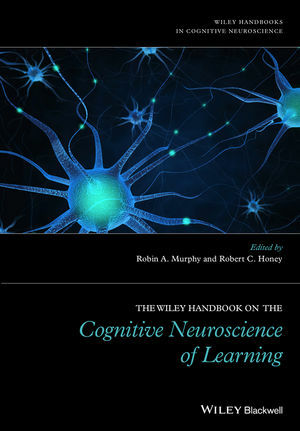 A member of The Journal of Experimental Psychology: Animal Learning and Cognition editorial board, Professor Murphy has published over 50 scientific articles in prestigious peer-reviewed journals, including The Journal of Experimental Psychology: General, The Journal of Experimental Psychology: Animal Learning and Cognition, PLoS: ONE, Psychopharmacology,and Science. Robert C. Honey is a Professor in the School of Psychology at Cardiff University, UK. He is a recipient of Experimental Psychology Society Prize and former Editor of the Quarterly Journal of Experimental Psychology. He has published over 100 scientific articles in peer-reviewed journals in the behavioral sciences, including contributions to the The Journal of Experimental Psychology: Animal Learning and Cognition, PLoS: ONE, and the The Journal of Neuroscience.